I love my food. I really do, and vegetables are a huge part of my diet. And whether because I’m head deep in writing, or housework, sometimes I forget that I need to have lunch until my stomach grows so determined to be fed that it starts to complain. Loudly and angrily! So often I find myself throwing things together in record time, just to satiate my needs, so that I can get back to doing what I was doing. But sometimes, I need a little thinking time when I’m working, so I shift away from the laptop, and put something together that I can pop in the oven and be ready for whenever I need it. 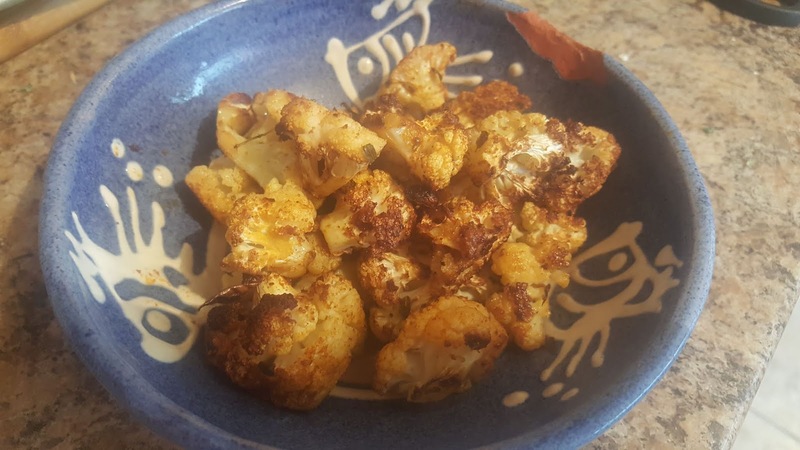 Although quick to prepare, it takes about fifty mins in the oven, but this roasted cauliflower is delicious and crunchy and yummy and makes the perfect side dish! I’m afraid I’m not good at measurements, but trust your gut and your taste buds!! Cut the heads off the cauliflower stalk, keeping them quite small. If you need to, cut the larger heads in half or quarters, but ideally keeping them all roughly the same size. Put them in a bowl and add a good four shakes of Paprika, three of garlic powder, two of salt, a fistful of time, and a good few glugs of olive oil – enough to roughly cover the cauliflower in the bowl. Shake the bowl around until it's all coated in yummy tastiness. Line a tray with baking parchment and pour the cauliflower evenly across the tray. Pop them in the oven at 200° for fifty minutes, and serve deliciously crispy! A powerfully intense revenge romance!. Thanks for the recipe and the book sounds good! Hi Christine, thank you and you're welcome! It's a really lovely and very easy dish! If you want to secrets of healthy life than its very important know about good food for health and know about The Healthy Eating Pyramid For Healthy Life. 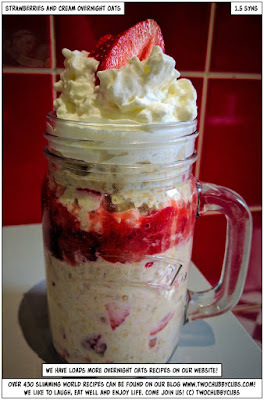 This recipe looks wonderful Pippa. I love cauliflower. We actually had riced cauliflower last night, replacing the rice for a change in a beef and bok choy stir-fry. I will bookmark your recipe to try very soon. Thank you also for the book review. It sounds like it will be a very interesting and enjoyable read. Thank you Denise! As a kid, we only ever had cauliflower cheese, so it's lovely to be able to do more fun and fresh and light (!) things to do with it! 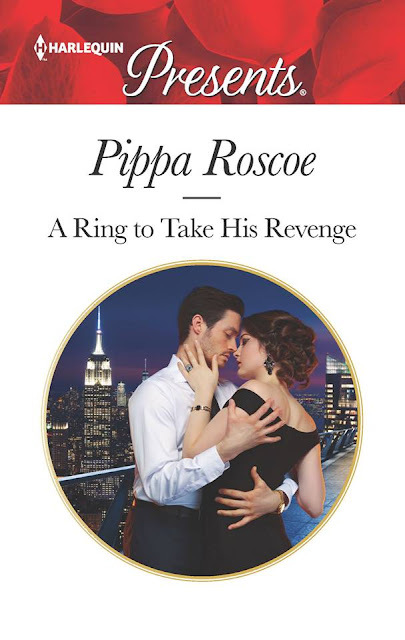 And I hope that you enjoy A Ring to Take His Revenge! Best wishes. 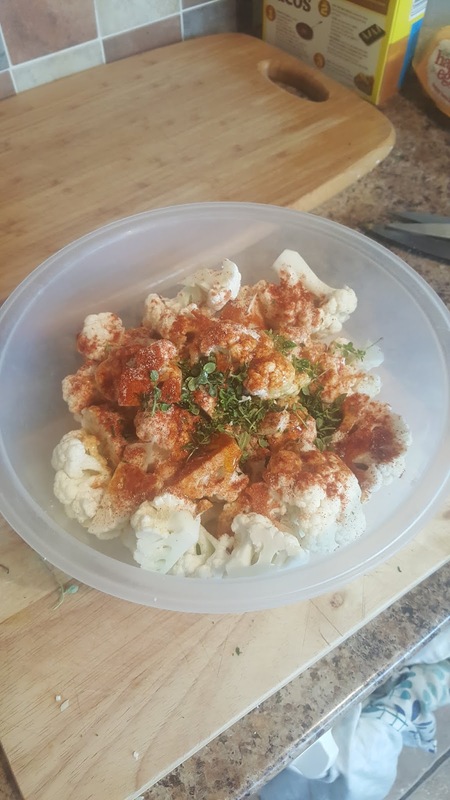 I love roasted cauliflower. I see some ingredients I need to add to mine. RING sounds like a keeper. There are so many different ways to do it too! There's an amazing recipe with tahini and pomegranate seeds. I hope you enjoy the book! Best wishes. I love roasted vegetables but have never tried roasted cauliflower before. I will definitely have to give this recipe a try because it sounds delicious. Love the combo of seasonings. Hi Suzanne, I must admit, that combination is one of my go to easy flavours. I use it quite a bit with chicken too. Happy cooking! Both the recipe and book are interesting. I have tried roasted cauliflower before! Thank you Nancy! 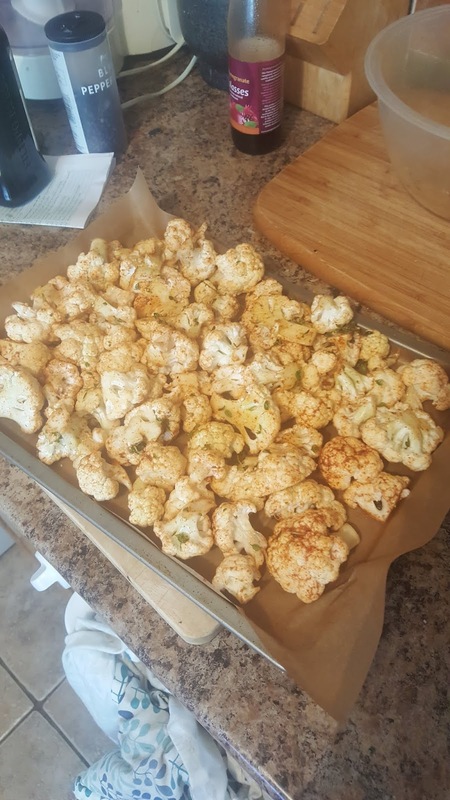 I am now curious as to how you roast your cauliflower! Best wishes. Thanks for this yummy recipe. I love cauliflower. My pleasure! 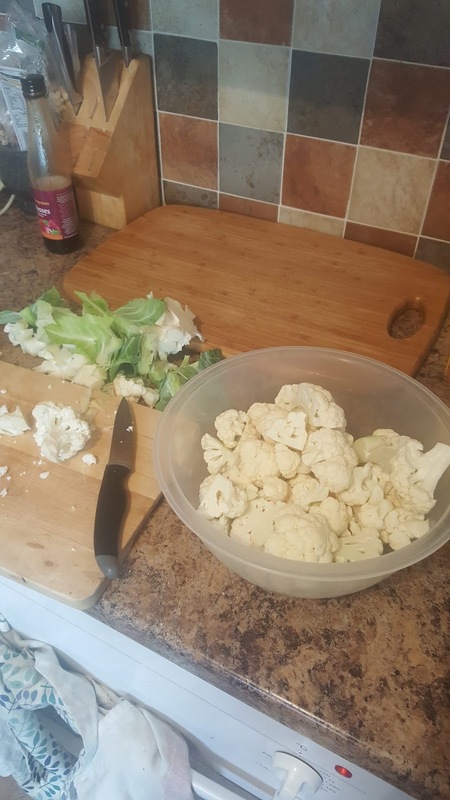 Cauliflower is a very underestimated vegetable! Oh yum and what a great way to spice up cauliflower for fussy eaters as well. I like to make similar dishes with lasts and bake in the oven, serve with a tasty, rustic garlic bread and that tastes just as delicious th second day around as well. I must try this one, usually I add a cheese sauce to those not as tasty veggies but this is a great and heathy alternative. Thanks so much for sharing! Thank you Davina! I hope that you enjoy it. 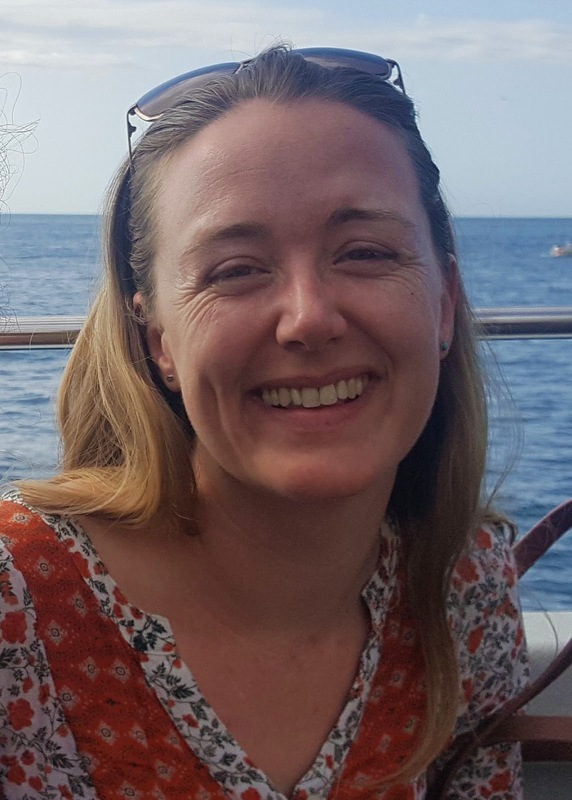 Sadly I discovered that I was gluten intolerant about a year ago now, so I've been hunting down appropriate recipes and ways to find that 'crunch' I'm missing from lovey white rustic garlic bread type foods! Best wishes. That looks easy to make and delicious! 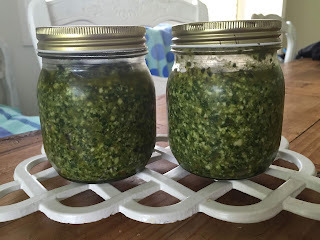 Soooo easy and very delicious! Thanks Sherry! Thanks Ro! It's very easy to do the same thing over and over again with vegetables, but sometimes just a different combination of spices and flavours can really perk things up a bit! Best wishes. Oh this recipe is really interesting and quick to make (so long as you remember to make it an hour before eating!). Would be good with some grated cheese. I've never tried it with cheese! Do tell me how it goes Sheila! Best wishes. There are definitely some amazing cauliflower recipes out there, and I really need to find one or two I love. That's not something we typically eat in my house, but I need to try it. And I'm with Sheila. I would add some cheese--feta or Romano, even finely shredded Jarlsberg.